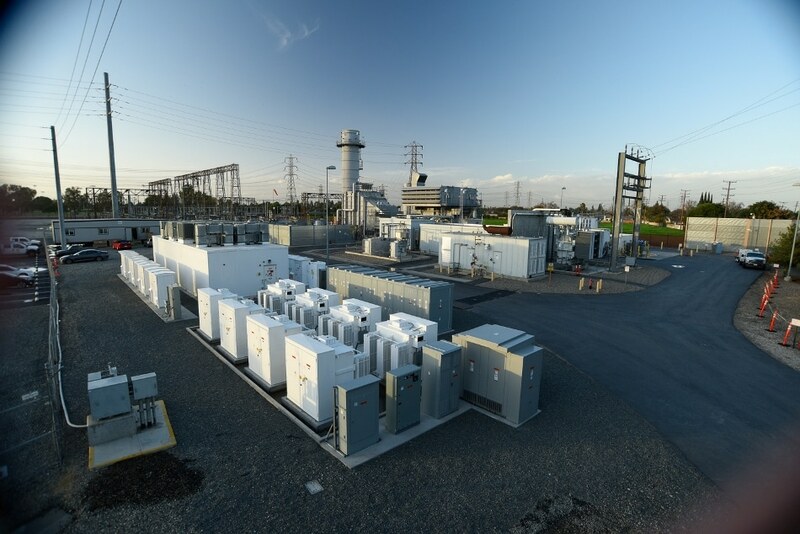 GE and Southern California Edison (SCE), an Edison International company today unveiled the world’s first battery-gas turbine hybrid system in Norwalk, California. This is the first of two units that GE has delivered for SCE only months after announcing initial deployment plans of this innovative technology. This system, called the LM6000 Hybrid Electric Gas Turbine (Hybrid EGT)* supports SCE’s increasing renewable energy capacity by providing quick start, fast ramping capabilities when they are needed. The unit integrates a 10 MW/ 4.3 MWh battery energy storage system capable of immediately providing power with GE’s proven 50MW LM6000 aeroderivative gas turbine. Among the speakers that attended the event were Mary Nichols, Chair, California Air Resources Board (CARB), Jill Whynot, Deputy Executive Officer, Operations South Coast Air Quality Management (SCAQMD) and Tom Doughty, Vice President, California Independent System Operator (CAISO). GE and SCE developed this system in response to changing energy needs in California. The state has committed to derive 50 percent of its electricity from renewable sources by 2030. The Hybrid EGT helps balance variable energy supply and demand, including during evening hours when the sun sets and solar power production falls while electricity usage surges as customers return home and turn on lights and appliances. At the heart of the Hybrid EGT is a groundbreaking control system which seamlessly blends output between the battery and the gas turbine. The energy storage capacity of the battery has been specifically designed to provide enough time coverage to allow the gas turbine to start and reach its designated power output. As a result, the system does not need to burn fuel and consume water in stand-by mode to be able to dispatch power immediately when demand surges. This innovative combination, along with new emission controls, provides enhanced flexibility in the operation of the peaker while at the same time reducing greenhouse gas emissions and air pollution by 60 percent. In addition, demineralized water consumption will be reduced by approximately 45 percent, saving two million gallons of water annually and increasing the life of the equipment.